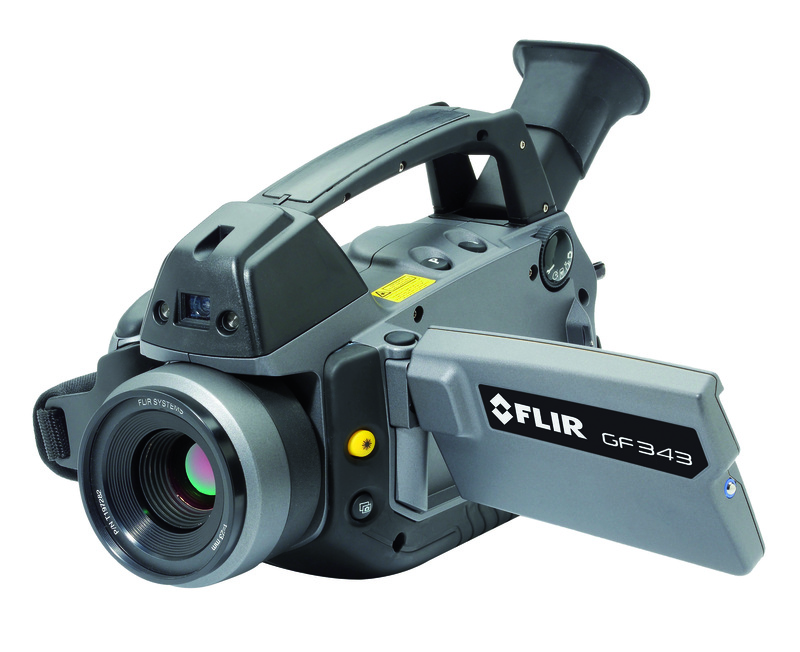 FLIR Systems has announced the release of its new GF343; an optical gas imaging camera that lets you detect and visualise carbon dioxide (CO2) leaks quickly, easily, and from a safe distance. Whether the CO2 emission is a byproduct of a production process, a trace gas used to detect leaks from power generators or as part of an Enhanced Oil Recovery programme, fast and accurate detection of CO2 leaks is key to keeping your operation running safely, efficiently, and profitably. Reliable, non-contact CO2 detection using the FLIR Systems GF343 lets plants prevent unplanned outages by allowing them to inspect equipment while it is still online in the course of normal operations. It also helps keep operations safe while moving towards carbon-neutral capture and storage operations. Using a cooled Indium Antimonide (InSb) detector, the FLIR GF343 provides extraordinary sensitivity, 320x240 resolution and optimised detection of CO2 gas leaks in real time. Optical imaging using FLIR GF-Series thermal cameras offers a number of benefits compared to traditional 'sniffers' because they scan a broader area much more rapidly and in areas that are difficult to reach with contact measurement tools. Infrared displays a leak as a plume of vapour in the infrared image. Once a leak is found from a safe distance, you can use your TVA to quantify the concentration.